Research!America's 18thannual Advocacy Awards will honor extraordinary advocates of medical and health research who are distinguished in their commitment to advancing medicine and health. The event is tonight at the Andrew W. Mellon Auditorium in Washington, DC, as a part of Research!America's 25th anniversary commemoration. The 2014 Advocacy Award winners are actress Glenn Close and her family; Leroy Hood, MD, PhD, president, Institute for Systems Biology; Kathy Giusti, founder and CEO of the Multiple Myeloma Research Foundation (MMRF); Reed Tuckson, MD, managing director, Tuckson Health Connections; and The Progeria Research Foundation (PRF), and US Reps. Frank Wolf (R-VA) and Chaka Fattah (D-PA). These honorees have transformed the lives of many individuals across the country through their remarkable achievements and advocacy for medical and health research. Their dedication is helping to elevate research in the national conversation and inspire a new generation of advocates. 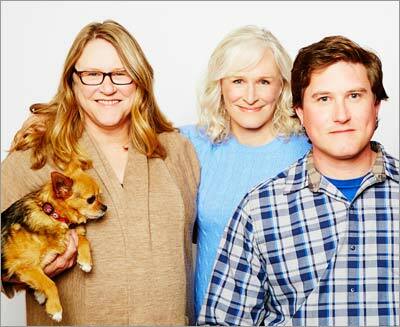 Glenn Close, the award-winning actress of Damages and Fatal Attraction, will be honored with Research!America's 2014 Isadore Rosenfeld Award for Impact on Public Opinion. Urged by her sister and nephew living with mental Illness, Close co-founded Bring Change 2 Mind, a not-for-profit organization dedicated to ending the stigmas and misunderstandings surrounding mental illness. Together, the Close family shares an inspiring message of recovery, managing illness and leading a productive life. Glenn's sister, Jessie Close, lived with undiagnosed bipolar disorder until the age of 50. She blogs about her personal experiences on the BC2M website and has written two books, The Warping of Al and the soon-to-be-released memoir, Resilience. Jessie's son Calen, a speaker and ambassador for BC2M, lives with schizophrenia. An artist living in Montana, he promotes artistic expression as a tool to help harness the creative powers commonly found among individuals with various forms of mental illness. After 11 years of undaunting courage, Calen now articulates the challenges of living life with a thought disorder. 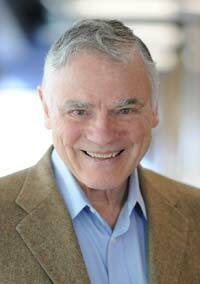 Dr. Leroy Hood will be honored with Research!America's 2014 Geoffrey Beene Builders of Science Award for pioneering the development of instruments that paved the way for the successful mapping of the human genome. He was one of a small number of early and persistent advocates for the Human Genome Project. Prior to Dr. Hood's invention of the automated DNA sequencer, it took 30 years to sequence the genome of the cold virus, and the first gene cost $180 million to sequence. With Dr. Hood's remarkable achievement, it took less than a day to sequence the genome of the SARS virus and the cost of sequencing a gene is now just $6. 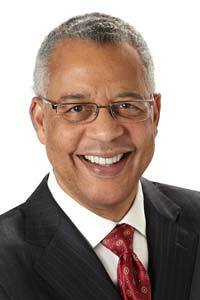 Dr. Reed Tuckson, Managing director of Tuckson Health Connections, will be honored with Research!America's 2014 Raymond and Beverly Sackler Award for Sustained National Leadership for his lifelong commitment to advocating the benefits of evidence-based medicine to the public and policy-makers and for adoption of supporting policies that maintain a strong and sustained investment in research, including health services research. He regularly speaks to the media about the need for a strong and sustained US investment in research and programmatic funding, believing that the goal of a healthier America is in everyone's best interests, from everyday Americans to members of Congress and to the business community. 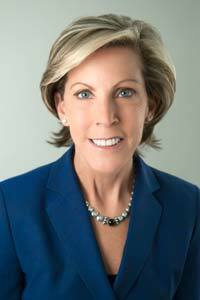 Kathy Giusti, founder and CEO of the Multiple Myeloma Research Foundation (MMRF), will receive Research!America's 2014 Gordon and Llura Gund Leadership Award for advancing the research and treatment of myeloma, a hematologic cancer which is the second most common blood cancer after non-Hodgkin's lymphoma. The American Cancer Society estimates that 22,350 new cases of multiple myeloma will be diagnosed in 2013. A myeloma survivor, Giusti co-founded MMRF with her twin sister. The organization plays a vital role in launching treatments that have helped double the life expectancy of many patients; established the first myeloma tissue bank; and launched an initiative that resulted in the complete mapping of the myeloma genome, which was made publicly available to advance myeloma research. The Progeria Research Foundation (PRF) will receive Research!America's 2014 Paul G. Rogers Distinguished Organization Advocacy Award for its role for bringing progeria, a rare and fatal pediatric disease of premature aging, from obscurity to the forefront of successful translational research and giving hope to patients and families. PRF secured language in the Children's Health Act of 2000 in support of rare disease research, including progeria. The organization also led the discovery of the progeria gene, the identification of a potential drug treatment and, eventually, the first progeria clinical trial which resulted in the first treatment of the disease. Reps. Frank Wolf (R-VA) and Chaka Fattah (D-PA): will receive the Edwin C. Whitehead Award for Medical Research Advocacy for their leadership and unwavering commitment to supporting policies that promote federal and private sector medical research and innovation. The Whitehead Award, named in honor of Research!America's founder, Edwin C. "Jack" Whitehead, recognizes exemplary leaders, particularly those in public office, who have demonstrated a deep commitment to advancing medical and health research as a national priority and who galvanize others in support of science. Reps. Wolf and Fattah have spearheaded efforts to create a legislative and regulatory climate conducive to medical innovation. Research!America Chair John Edward Porter, who served for 21 years as a Congressman in Illinois, called them "exceptional champions for research." "They have worked vigorously to increase funding for research, support policies that ignite public and private sector innovation, maintain our global competitiveness, and help patients and their families struggling with costly and debilitating diseases," he said. Wolf is a senior member of the House Appropriations Committee, presides as chairman of the Commerce, Justice, Science Subcommittee, and is a member of the Transportation, Housing and Urban Development and State and Foreign Operations subcommittees. Throughout his tenure in Congress, Wolf has worked to advance the state of science and R&D, and he recognizes the role innovation plays in our nation's economy, health and international competitiveness. Notably, he was a founder of the "Rising Above the Gathering Storm" Commission, which sparked a national effort to bolster federal science, technology, engineering and mathematics (STEM) education and R&D programs. These efforts culminated in the enactment of the first America COMPETES Act in 2007 to increase public-private partnerships and provide assistance to innovators throughout the country. Wolf also supported the act's reauthorization in 2010. He is an active member of several caucuses, including research and development, Parkinson's, Alzheimer's and multiple sclerosis. Fattah is a strong advocate for research and innovation, his commitment exemplified by his role as the ranking member of the Appropriation Committee's Commerce, Justice, Science and Related Agencies subcommittee. He spearheads the Fattah Neuroscience Initiative, a collaborative interagency approach to advancing the future of neuroscience research. The FNI intends to significantly increase federal investment in neuroscience research. In partnership with the American Association for the Advancement of Science, the Fattah Neuroscience Initiative also works to educate other Members of Congress and their staffs about current and potential areas of neuroscience research. 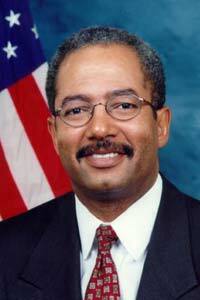 Fattah also formed an international research alliance with Rep. Steve Israel (D-NY), dedicated to creating a partnership in neuroscience research particularly aimed at developing treatments for Alzheimer's and other neurodegenerative diseases and moving them from the laboratory to the marketplace. Last year, Fattah introduced America's FOCUS Act, legislation that would channel additional federal dollars into the medical research supported and conducted by NIH at no cost to the taxpayer. Research!America is a nonprofit public education and advocacy alliance that works to make research for health a higher national priority. Based in the Washington, DC metro area, the alliance represents academia, industry, patient advocacy organizations, scientific societies, academic health centers, independent research institutes and foundations. Mary Woolley is President and CEO of Research!America. 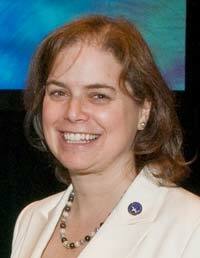 She is an elected member of the Institute of Medicine and serves on its Governing Council. 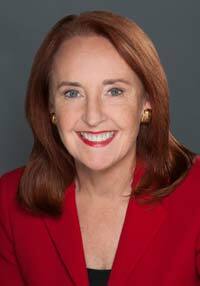 She is also a Fellow of the American Association for the Advancement of Science (AAAS) and serves on the National Academies Board on Life Sciences, and she is a founding member of the Board of Associates of the Whitehead Institute for Biomedical Research. 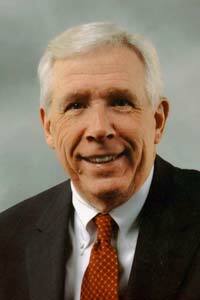 Woolley has served as president of the Association of Independent Research Institutes (AIRI), as editor of the Journal of the Society of Research Administrators, as a reviewer for the National Institutes of Health and National Science Foundation, and as a consultant to several research organizations.